Classic Movie Man: Mitzi Gaynor is on Twitter! Mitzi Gaynor is on Twitter! Movie and stage legend Mitzi Gaynor joined Twitter this August! The star of the classic movie musicals, There’s No Business Like Show Business (1954), Les Girls (1957), The Joker Is Wild (1957), and probably her most famous role, Ensign Nellie Forbush, USN, in South Pacific (1958). Gaynor was signed to a contract by Twentieth Century-Fox at age 19 and soon found herself in the musical My Blue Heaven (1950) alongside Betty Grable and Dan Dailey. She quickly followed that with a featured role in Take Care of My Little Girl (1951) starring Jeanne Crain. 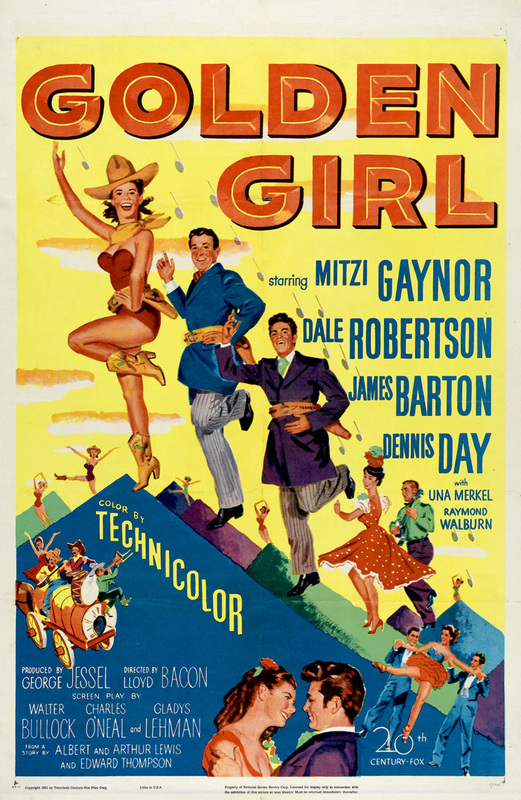 Now on her way, Gaynor had her first starring role in Golden Girl (1951), a musical set against the backdrop of the Civil War. Next was the all-star romantic comedy We’re Not Married (1952) featuring, among others, Ginger Rogers, Fred Allen, Marilyn Monroe, and Paul Douglas. Other starring roles followed, including Bloodhounds of Broadway (1952), The I Don’t Care Girl (1953), Down Among the Sheltering Palms (1953), and the western Three Young Texans (1954). Her last film for Fox was There’s No Business Like Show Business, the studio’s first musical filmed in Cinemascope. 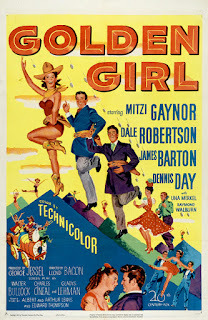 In the mid-50s, Gaynor secured a contract with Paramount Pictures. Her first picture for that studio was Anything Goes (1956) also starring Bing Crosby and Donald O’Connor. She followed that up with The Birds and the Bees (1956), a musical remake of The Lady Eve (1941), with Gaynor playing the role Barbara Stanwyck created in the original. Probably her most famous role at Paramount was in the film The Joker is Wild (1957) costarring Frank Sinatra and Jeanne Crain, another former Fox contractee (Crain starred in Take Care of My Little Girl featuring Gaynor). While filming The Joker is Wild, Gaynor auditioned for and won the role of Nellie Forbush in South Pacific (1958). 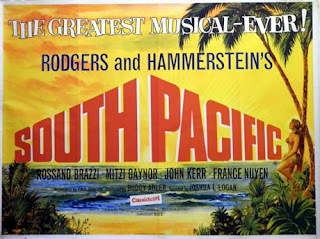 The film was a blockbuster at the box office, making it the biggest moneymaker that year and the highest grossing Rogers and Hammerstein musical until The Sound of Music (1965). Gaynor’s performance was nominated for a Golden Globe Award (Best Actress- Comedy or Musical) and the actress became an international star overnight. Gaynor closed out the 1950s with the romantic comedy Happy Anniversary (1959) costarring David Niven. The film is notable for an early screen performance by Patty Duke (she played the daughter of Gaynor and Niven) who would go on to win an Academy Award for her next film, The Miracle Worker (1962)). Next up for Gaynor was the Stanley Donen directed comedy, Surprise Package (1960) costarring Yul Brynner and Noel Coward. Gaynor’s last screen role was in For Love or Money (1963) costarring Kirk Douglas. With the end of the studio system and the demise of movie musicals, Gaynor put together a Vegas Act and concentrated on live stage performances as well as television specials. Today Gaynor is actively involved with charities, including The Professional Dancers Society. Gaynor has been president of that organization since 2003. #TCMParty friends and others, why don’t you welcome Gaynor to Twitter (@TheMitziGaynor) by following her? You can also like her on Facebook and visit her official website. Note: Some of the details for the above was taken from Ms. Gaynor’s official website.